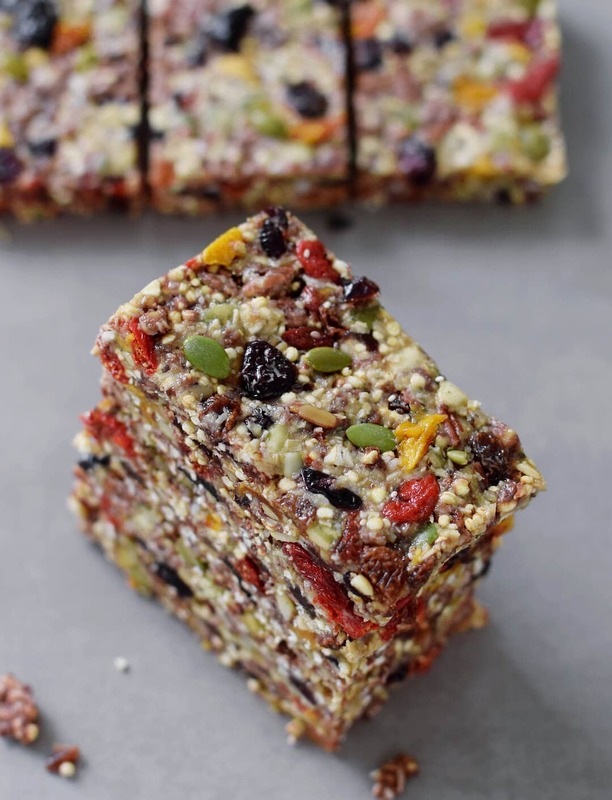 Healthy granola bars, the perfect vegan, and gluten free snack. This blog post is sponsored by iHerb, all thoughts and opinions are my own. What’s your favorite snack on the go? 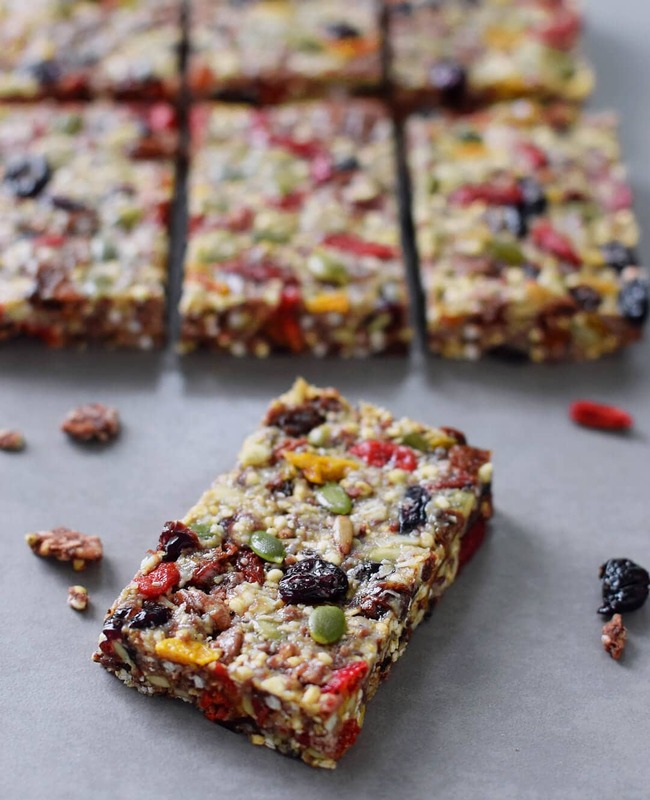 I love granola bars or like I also call them “muesli bars”. For me, it’s important to be prepared and have a healthy snack with me when I am on the go, as I tend to get hungry fast between meals. As long as I have these healthy granola bars with me I don’t need to rely on convenience stores to buy (not so healthy) snacks. 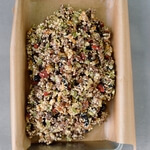 My soft and chewy granola bars are a mix of dried fruits, seeds, oats, raw agave syrup and cashew butter. They are the perfect snack on the go, if you need instant energy but don’t want to feel too full as they contain healthy carbs, proteins, and fat. The recipe is vegan, gluten free, healthy and very easy to make. 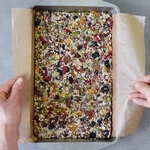 These healthy granola bars can be prepared in 15 minutes. They contain only 8 ingredients and you don’t even need a blender or food processor to make them. 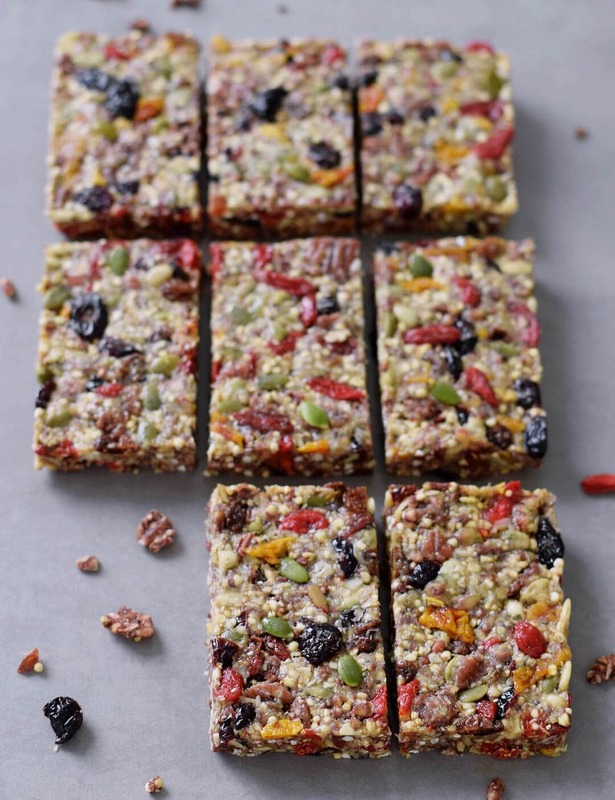 In fact, they are so easy to make and don’t require baking, which means the bars can be enjoyed raw. 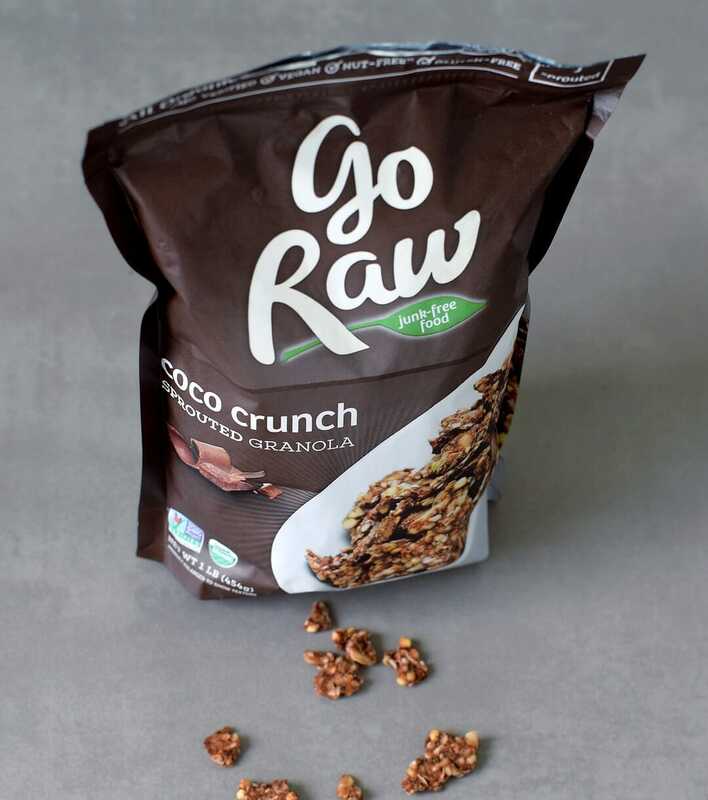 My favorite product is the Go Raw Coco Crunch. 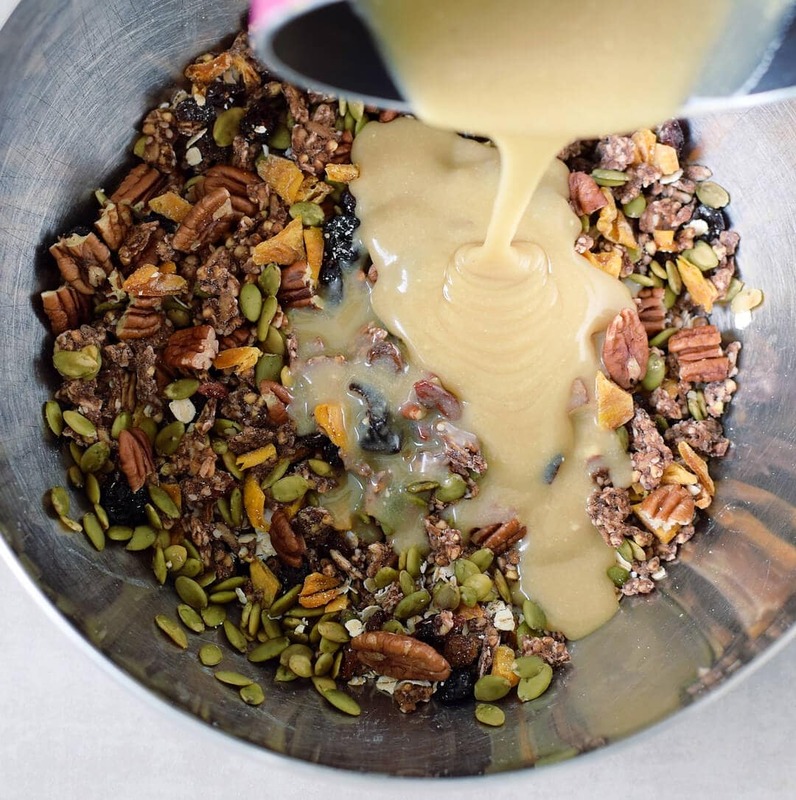 It’s basically sprouted granola and can be eaten on its own as a snack or enjoyed as muesli with plant-based milk. The ingredients are: Sprouted buckwheat groats, sprouted sunflower seeds, dates, sprouted sesame seeds, coconut (un-sulfured), hemp seeds, cacao, vanilla extract, Celtic sea salt. I love that it’s fully raw and refined sugar-free. 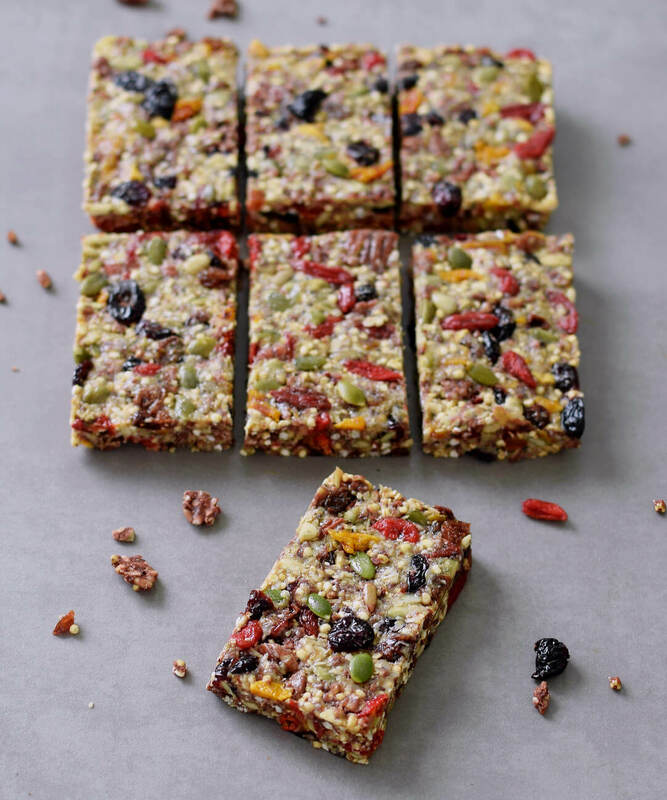 If you recreate my healthy granola bars, please leave a comment below and tag me in your Instagram or Facebook post with @elavegan and #elavegan so that I can see it and leave a comment. If you love snacks, you should also check out my other healthy snack ideas like these delicious bliss balls. I will be looking into iherb ! And this amazing recipe , you make it so simple for me to follow I can’t wait to make this with my girls <3 thank you !!!! Thank you, Kirsten! I hope you will like my recipe. Much love to you ???? I made these bars but adapted the recipe a bit because of my allergies. They still turned out great. I tagged & thanked you on my Instagram post & shared a photo of mine. 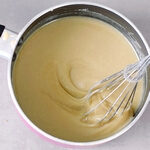 Cashew butter–YES!!!! Haha I was sorta kidding in my reply, but you are indeed doing delicious things with it right now too. 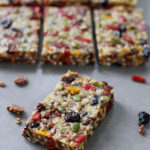 First I just need to say that these have to be the most colorful granola bars I’ve ever seen, rainbow snacking at its best! 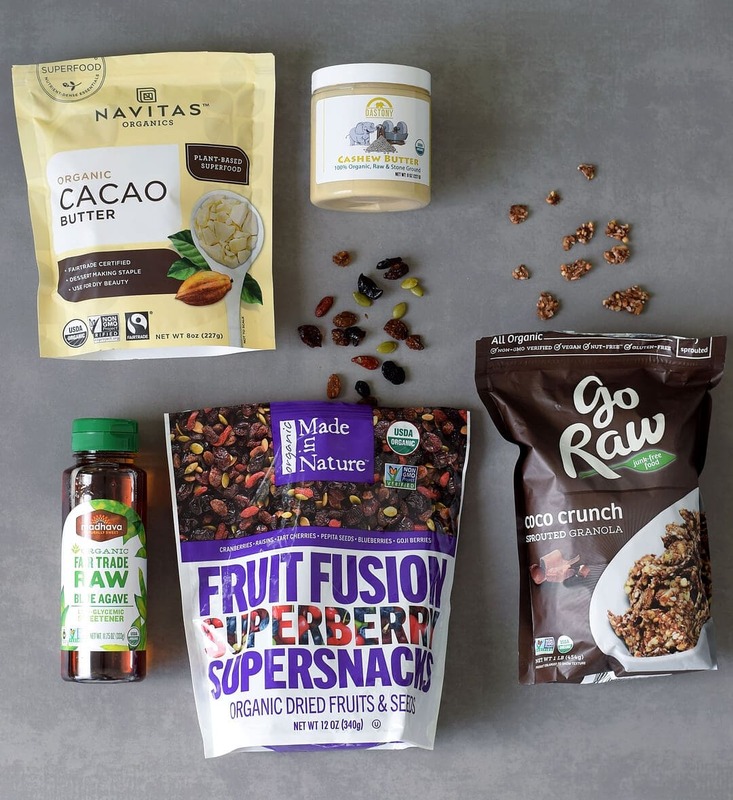 You definitely know how to pick 5 very good products for a little online food shopping, I love all of these things and I can’t even imagine how delicious they must taste altogether in one perfect snack. Colors, textures, and yummy ingredients galore! Hello Ela. Ive been inspired by your amazing recipes andan willing to try this one out. But mu question is can i replace cashew butter with any other nut butter? And what is a good substitute for cacao butter if I dont have it available. Amazing! And so colourful, too! Definitely going to give these a whirl 🙂 Absolutely love cashew butter but I might try switching it up with some different ones to experiment as well!